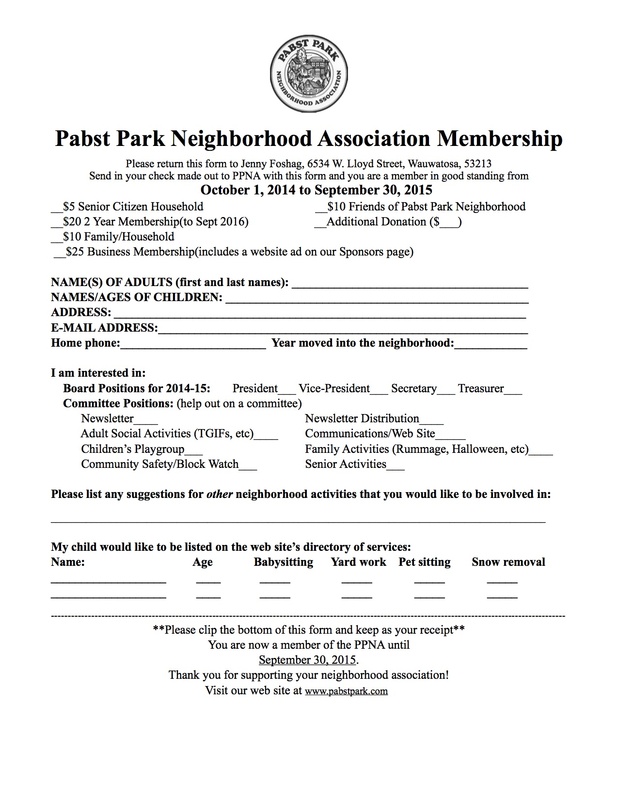 Our 2014 membership year ends on September 30th, to become a PPNA member for the upcoming membership year, please renew your membership at our membership drive or by dropping off your form and membership dues to our Membership Chair, Jenny Foshag at 6534 West Lloyd Street, Wauwatosa, WI 53213. Not sure if you signed up for a two year membership, last year? Contact Jenny, at jsbrand27@hotmail.com with questions. Drop off your membership form on Monday, October 20th and pick up your glow light for Trick or Treat. Everyone is encouraged to sign up at this time even if you are not participating in the Trick or Treat event. It gives us a chance to plan events for the entire year, which normally include TGIF’s, Egg Hunts, Summer Concert outing, etc… Membership forms received before or on October 20th will be entered into drawings for Red Dot and Hue Vietnamese Restaurant gift certificates. Two lucky PPNA members will be chosen. Don’t forget to Join the PPNA…you might get a free lunch!! !